The new new cocktail and champagne bar 26°EAST was opened in the Palais Hansen Kempinski with a magnificent party. According to General Manager Gerhard Mitrovits, this bar is to develop into an exclusive bar hotspot at the end of the Ringstrasse. 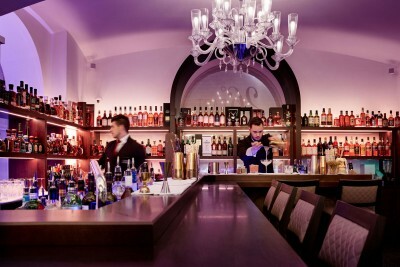 The new location for all bar fans and connoisseurs of good drinks at the Schottenring: 26°EAST. Creative cocktails, fine spirits and champagne are on the menu of the new bar in the Palais Hansen Kempinski. This article includes a total of 490 words.